WHAT TO DO WHEN BOOK SALES ARE SLOW? "Tis the season to be jolly." But sirens are going off in your head. We're just about getting into the holiday season and your book sales have been slow. No one's buying your e-book and your paperbacks are just sitting around in boxes or on Amazon's shelves alongside millions of other authors. So what's an author to do when he / she feels down in a slump? First things first, every business, seasonal or not, experiences lulls. Sometimes we can anticipate lulls because we know when those periods will present themselves; and then sometimes, perhaps, sales just starts slowing unexpectedly. Either way, the best way to work around those lull periods would be to treat them as business opportunities. Yes you're an author. And that's your business! Authors can use these periods as opportunities to interact and build relationships with their readership. You're selling or advertising on online platforms like Facebook, Instagram, Twitter etc, and you should spend some time getting to know your readers and allow them to get to know you. Start sharing information about your main character if you're into fiction. Introduce your main character to your readers officially and welcome any questions your readers may have for them. Share personal details about your MC (main character)- birthday, age, favourite drink, number of siblings etc. Create 'what would you do' scenarios and have your readers suggest the course of action your MC should take. Thank you readers for their input. Remember that people like to feel that they are a part of something. Show / give your readers some perks to 'knowing the author'. If you write non fiction books, perhaps you can share some of your expertise with your readership. Address them directly in your posts and encourage them to respond. Write short, meaningful posts on areas of interest that will spark conversation. Brand yourself as an author. Writing a book is a business, and you should treat it as such. You have to advertise, market, brand and sell. Simply posting a link to "buy my book", or just listing it on Amazon, will not bring you sales, or the recognition you want. Pop up everywhere with your books, call cards, flyers, bookmarks etc. Always keep copies of your books on your person wherever you go. Spontaneous encounters will win you a few customers who will check out your social media channels to find out more about you and your books. Persistence is key! When sales are slow, it might be a good time to switch to "power-market mode" instead of wallowing in self pity over the lack of sales. Usually when sales are going great, you barely get time to do anything else but focus on selling. So now that sales are a bit slow, you can use this time to revamp your low - budget marketing. Give your readership something to look forward to on your author's website. You can give a free chapter into one of your upcoming books and invite readers to send you some suggestions as to your storyline. Mary Higgins Clark sometimes have competitions / auctions for her readership to get their names into her novels. Bet you, they'll buy the book when they think their ideas contributed to it. You do not necessarily have to follow the suggestions, but your readers will be honoured that you considered asking them. Do thank them for all their wonderful suggestions and recommendations, and keep the lines of communication open. You may, if you wish, reward your readers for their input. You can plan the things you want to focus on in the lull periods of your business so you don't get demotivated. Plan a course of action that will not just keep you busy, but will also be a positive for your business. 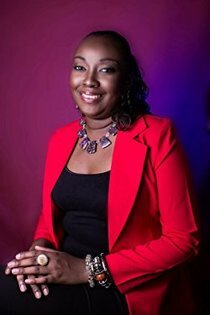 Cherise Castle-Blugh is the founder and CEO of The Timely Entrepreneur TM, an entrepreneurial development, self-guided organization that creates the resources and puts forward the necessary "soft - skills" to allow entrepreneurs to succeed in all areas of their startups. Cherise Castle-Blugh is the Author of THE TIMELY ENTREPRENEUR & Best Selling Author of the book "Startup Legalities" - Book 3 in The Timely Entrepreneur's Grow Your Business In A Snap!Series. She is a key Educator in the field of Business and Entrepreneurship. Cherise has dedicated 25+ years to helping businesses achieve and protect their success, specializing in leading new businesses in transition or startup phases and helping them create sustainable, functional, operational, and financial growth.